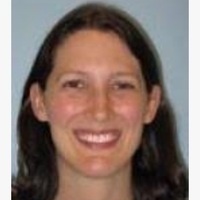 Holly Martin MD is an Assistant Professor of Pediatrics, and an Affiliate Faculty member of IGHS. She serves as the founding Director of the Pediatric Nocturnist Program at ZSFGl and as hospitalist and urgent care attending for the ZSFG Department of Pediatrics. She is also a mentor for residents in the Pediatric Leadership for the Underserved (PLUS) track. She teaches medical students and residents in her clinical duties at ZSFG. She is the inventor of the BREATH device (Baby Resuscitation Enhanced - A Tech Helper) that is a combined hardware/software solution designed to improve and guide neonatal resuscitation in low-resource areas. This project is in development with a Catalyst grant from UCSF for innovative digital health interventions.